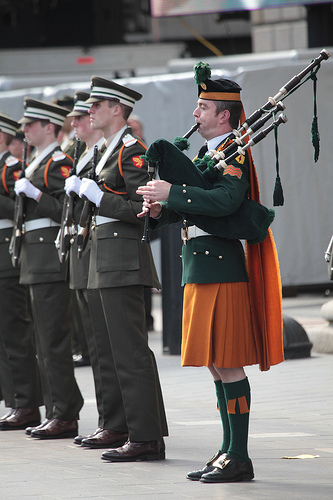 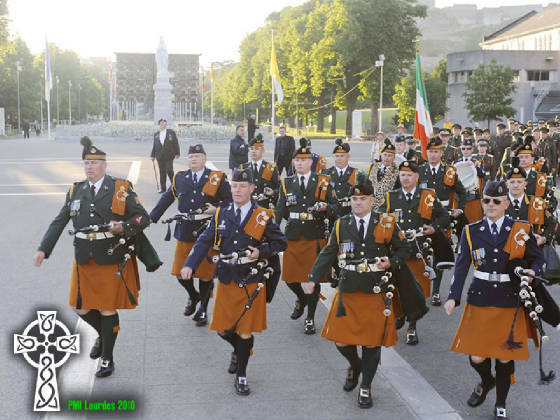 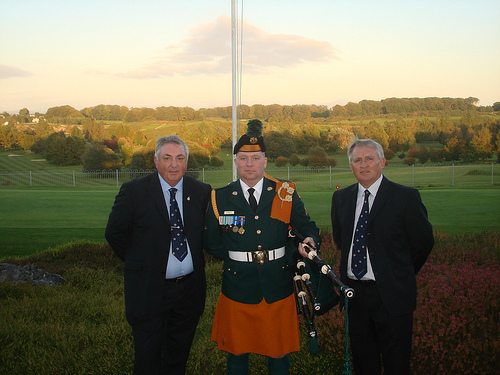 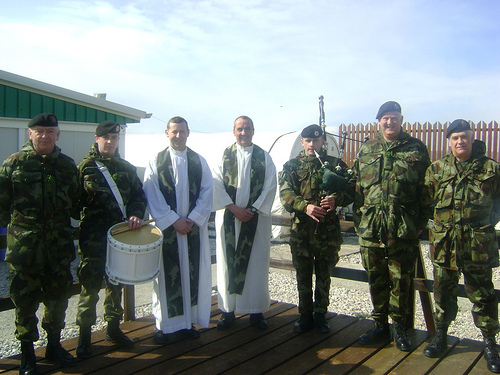 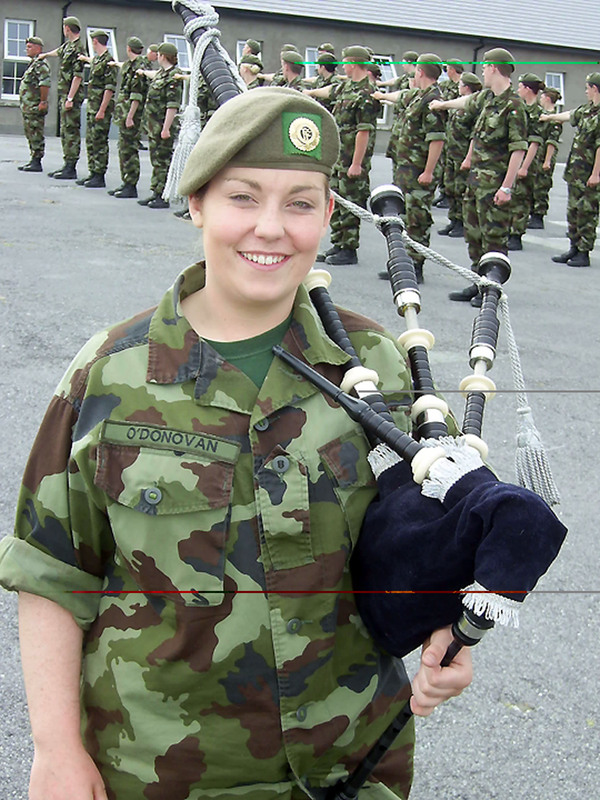 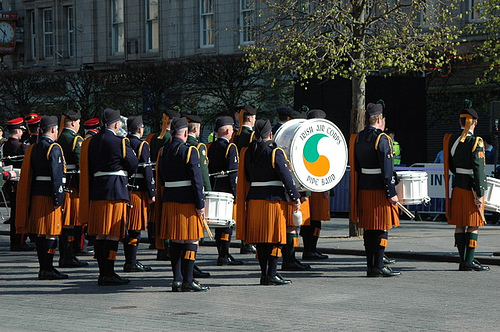 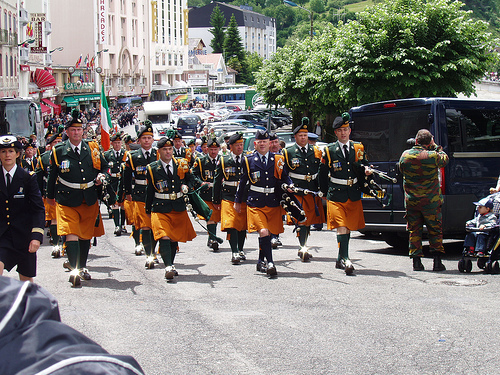 On duty in Kosovo on St.Patricks Day 2010. 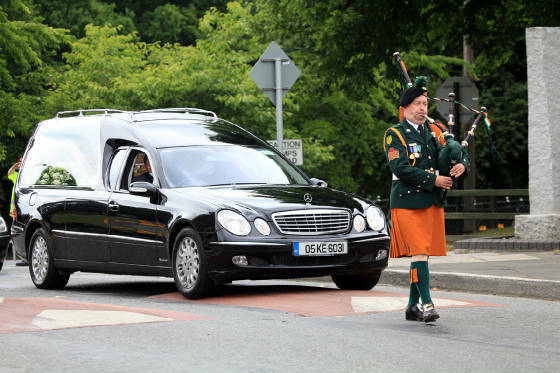 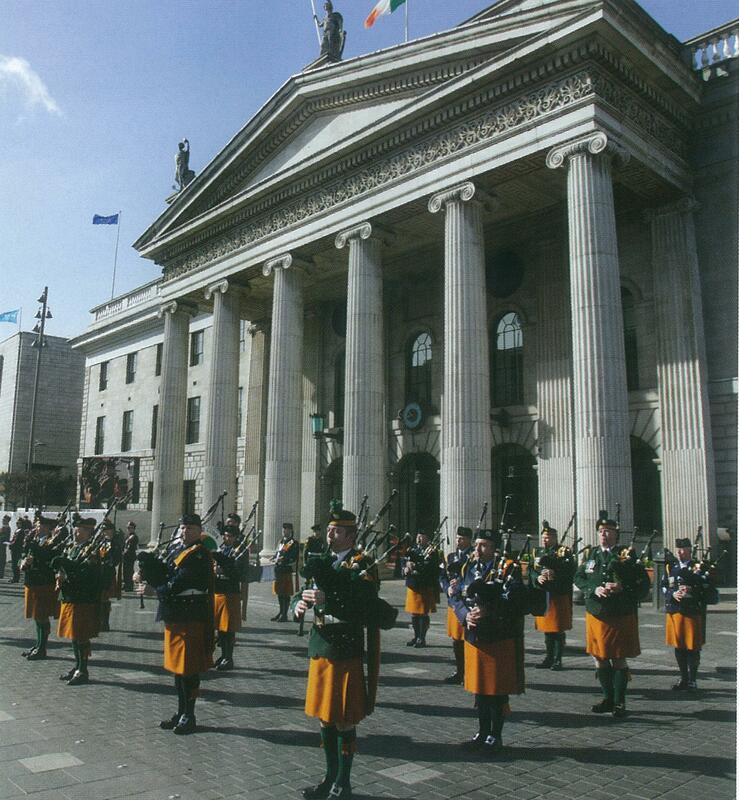 Piper Dave Usher leads the funeral procession of Lt General Dermot Early. 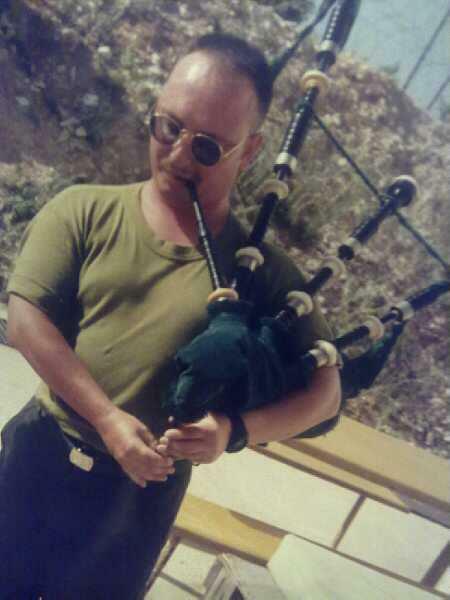 Above, Piper Sullivan Coy RSM 4th batt got the Distinguished Serivice Medal (DSM) for playing the pipes in the congo under fire. 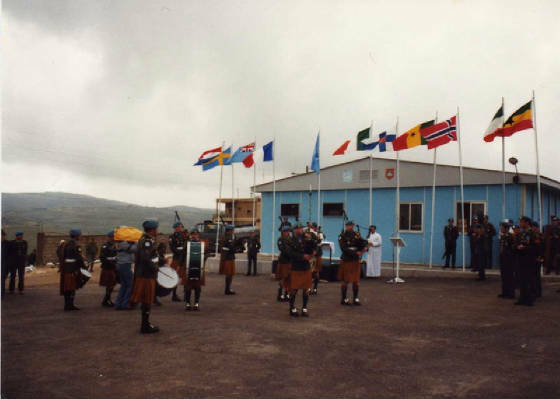 UN Peacekeeping can get dangerous.